RUSSIA. Moscow. May 7, 2015. 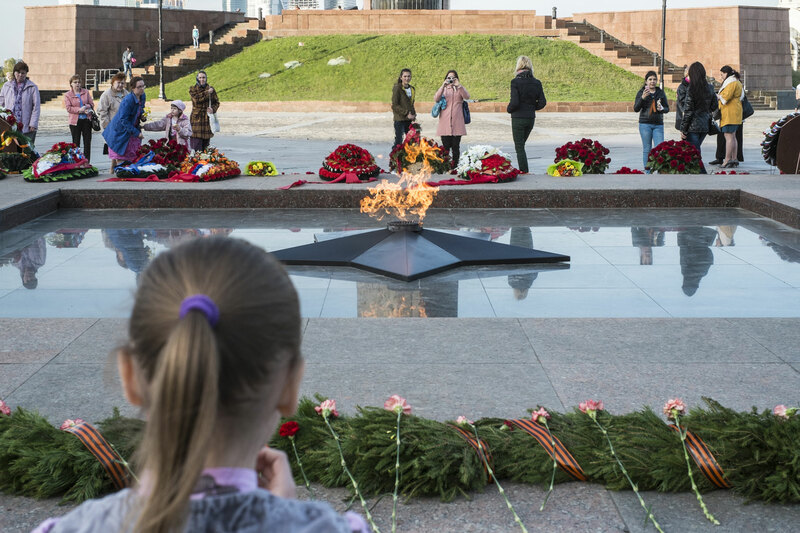 A girl meditates on the Eternal Flame in front of the Great Patriotic War museum.